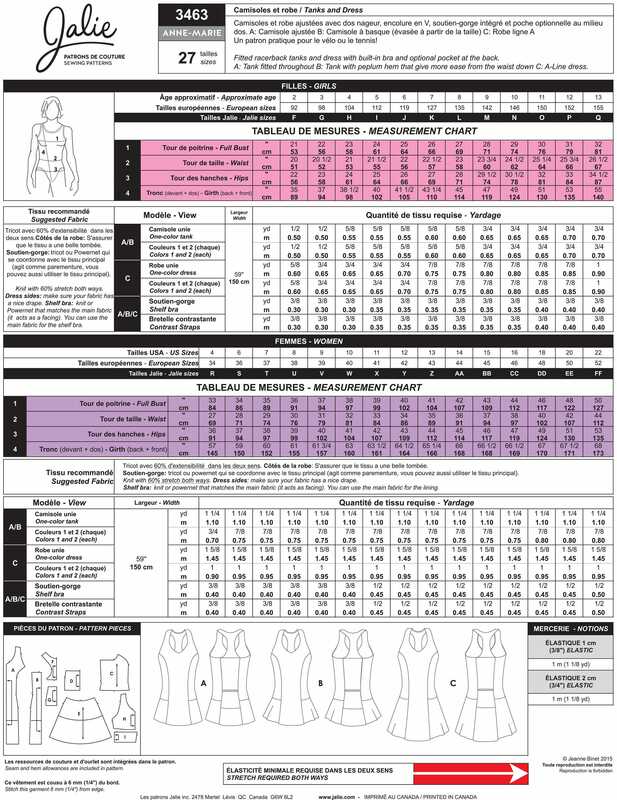 Package includes patterns and instructions to make Jalie's ANNE-MARIE Tanks and Dress. Fitted racerback tanks and dress with built-in bra and optional pocket at the back. View A: Tank fitted throughout. View B: Tank with peplum hem that gives more ease from the waist down. View C: A-Line dress.